Dr. Mahender Singh is in-charge of it. 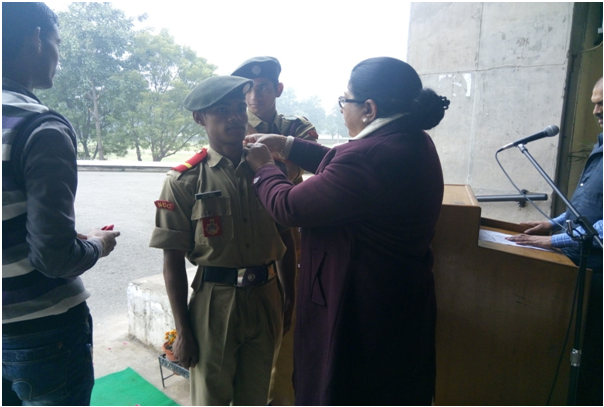 NCC cadets of the Army Wing, Shahrukh Khan, BA III and Rahul Kumar, BAII attended an Annual Training Camp in Assam and Delhi Combined Annual Training Camp at Ropar. NCC cadet of the Naval Wing, Vishnu Kumar, BA I attended an Annual Training Camp at Ropar from Nov. 16 -25, 2015. He also participated in March Past during 34th Annual Sports Meet. NCC cadet of the Naval Wing, Gautam, BA II participated in Republic Day Celebrations at Chandigarh, attended an Annual Training Camp at Ropar from Nov. 16 - 25, 2015 and also performed yoga on June 21 which has been proclaimed as International Yoga Day by the United Nations. 03 cadets participated in the Independence Day Parade held at parade ground sector-17, Chandigarh from 27 July to 15 August, 2014. 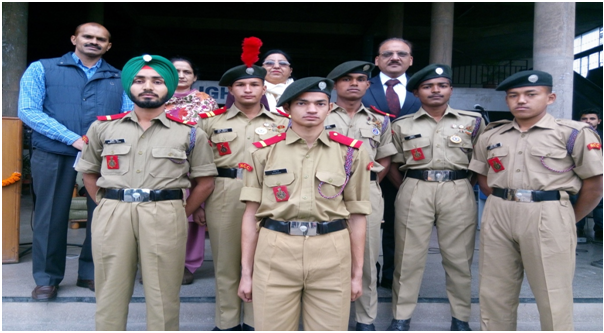 10 cadets participated in the Annual Training camp held at NCC Academy, Chandigarh from September 18 to 27, 2014. 07 cadets appeared in the Examination of NCC ‘B’ grade certificate. 02 cadets participated in the Pre NSC-II camp held at Ropar from December 11 to 19, 2014. 02 cadets participated in the NSC camp held at Goa from 21st Dec.’14 to 1st Jan.’15. 02 cadets participated in the NSC AI Yachting Regatta Camp held at Chilka, Odisha from 11th Nov.’14 to 18th Nov.’14. 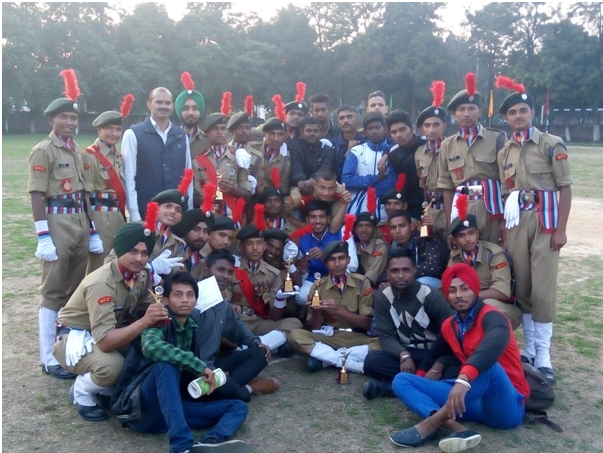 01 cadet participated in the DCT-I Camp held at Ropar from 27th Nov.’14 to 7th Dec.’14. 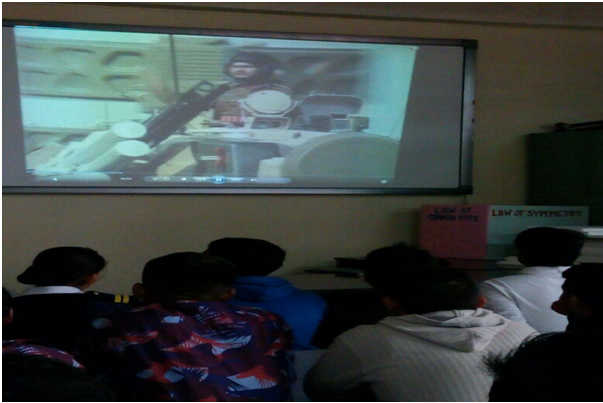 01 cadet participated in the DCT-II Camp held at Ropar from 8th Dec.’14 to 14th Dec.’14. 06 cadets participated in the Republic Day Parade held at parade ground sector-17, Chandigarh from 18th to 26th Jan.’15. 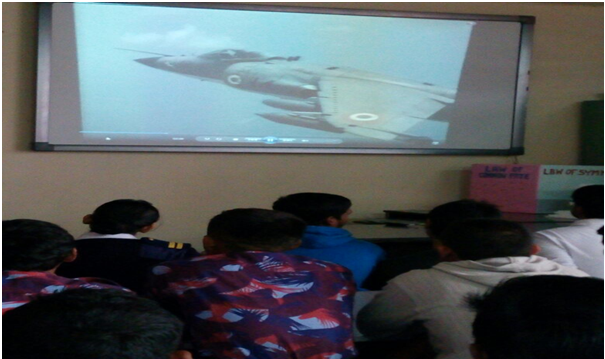 The Army wing held its Orientation Programme on 22.08.2014 at 03:00pm in the Multi-media room and Col S. Kumaraiah, Commanding Officer delivered an inspirational talk to the cadets. Besides above all the wing also celebrated the ARMED FORCES FLAG DAY on December 7, 2014 and Col. Kuldeep Singh (Retd.) delivered a motivational talk on the significance of Army services in the society. The cadets were very much inspired and express their queries on different tasks of a defence person and job avenues after the C-certificate. 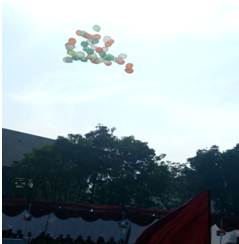 On January 26, 2015 the NCC wing celebrated 66th the Republic Day in the college premises. 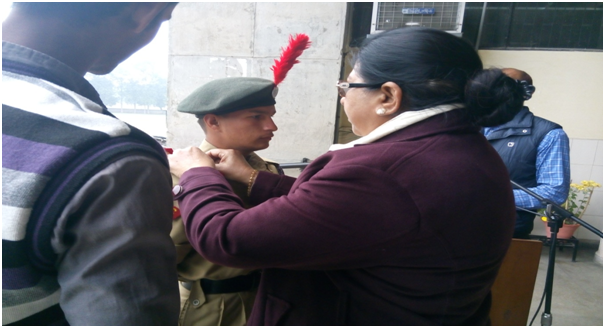 During the function the Rank ceremony was also celebrated and different positions like Sr. Under officer to Cadet Anil Naudiyal, First under officer Cadet Mahipal Singh, Second under Officer Vijay Kumar and Third under officer Cadet Parvinder Singh were designated besides these the other positions like CQMS to Cadet Gaurav Boris and Cadet Shahrukh Khan, CSM to Capt. Cadet Hanuman were also given by the college principal Dr. Gurjeet Kaur. On February 6, 2015 the cadets showed their position in different events of Sports Day by participating in various sport events and also declared as the best contingent in the march past.